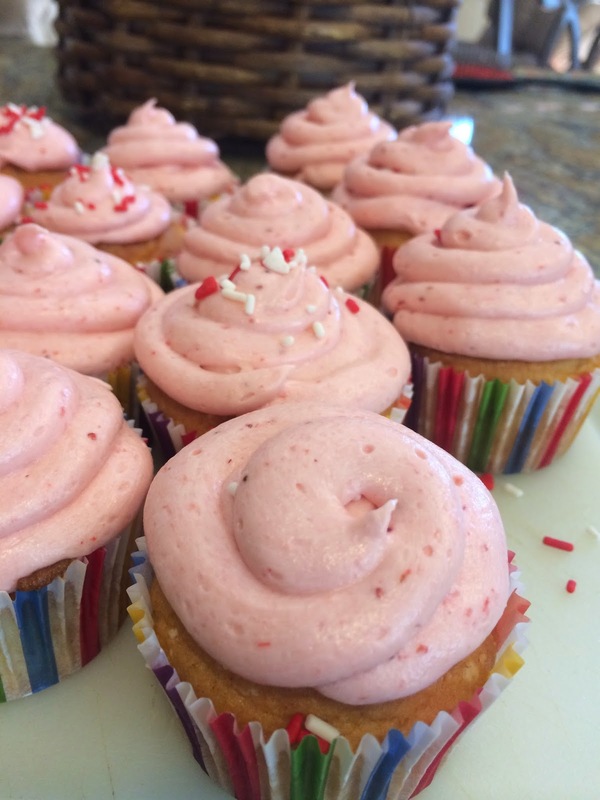 I found a recipe online for raspberry buttercream frosting and used strawberries instead. The only problem was that the recipe was too runny to frost the cupcakes with so we had to double the butter and God only knows how much powdered sugar was added. I’m going to post the recipe as I made it originally, but make sure you have extra sugar and butter so you can bring it to your desired stiffness.